Google Chrome is now ten years old. Google has marked this anniversary with a huge release called Chrome 69. It’s been a while since we’ve seen a Chrome release with as many features as this. The one that everyone notices first is the new material design, or what people commonly refer to as the feature that makes the new Chrome now look rounded—from the curved address bar all the way down to the rounded favicons that appear on the front page as suggestions for webpages that you might want to load based on past experiences, known as shortcuts. You can also create custom shortcuts so the favicons for websites that you see are based on what you want to see rather than Google picking them based on what it knows is your most visited sites. Chrome 69 comes with some other cool features, such as the chance to select custom picture backgrounds for new tab pages so you don’t have to just look at the same old basic Chrome white background. This is a feature that isn’t enabled by default because it requires you to add the pictures that you want to see for the custom backgrounds, but it is there for when you want it. There are other useful features, such as the built-in password manager that can autogenerate new passwords for websites and save them so you don’t have to re-enter them, too. The Chrome password manager isn’t new, neither is the option to save passwords, but automatically generating new passwords is usually functionality reserved for the websites that you’re using and not something that a browser could control. You’ll still find more goodies jampacked inside as well, like the revamped Omnibox that shows details when you start typing, a built-in ad blocker for blocking selected ads from sites that Google deems to be unnecessarily hindering people’s user-experience online, Ease of Access now available on mobile, a simpler padlock for SSL that no longer feels the need to let you know if a site is secure or insecure in writing, plus quite a few other features as well. Another feature you might be interested in is the Dark Incognito theme that you get when you use Google Chrome in Incognito mode. We’ve seen many people wish they could use Chrome as it appears while in Incognito mode, and now they finally have their chance. 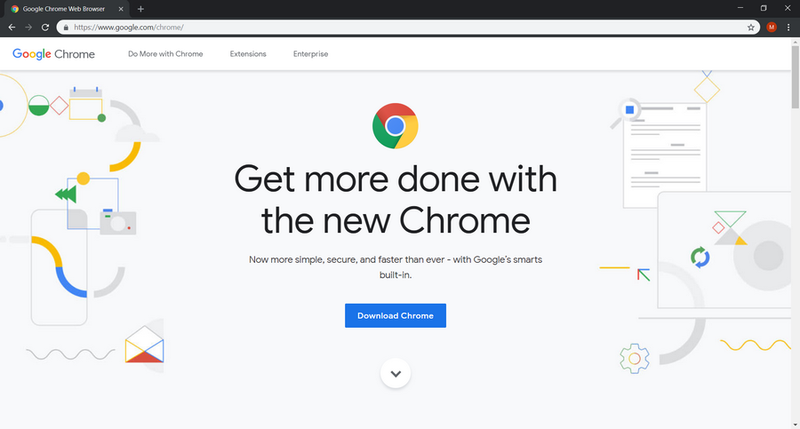 While this isn’t a feature built-in to Chrome 69, it has just become available at the same time as Chrome’s new release, so it at least appears to have been made possible by the latest version of Chrome, or perhaps the developers were waiting for its release before they went to the trouble of adding compatibility. 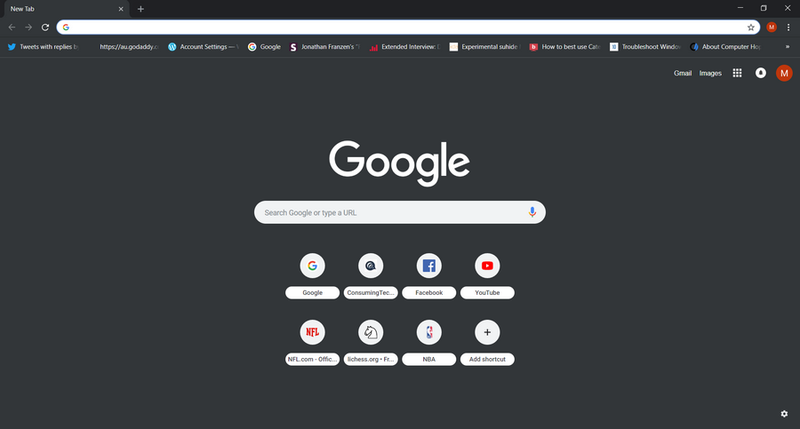 To be crystal clear, this is just a theme with design changes aimed to change the looks of the Chrome browser windows and won’t keep you hidden like Incognito typically does. You’ll still need to open your normal Incognito windows by heading to the Settings > New Incognito window for when you want to browse anonymously. 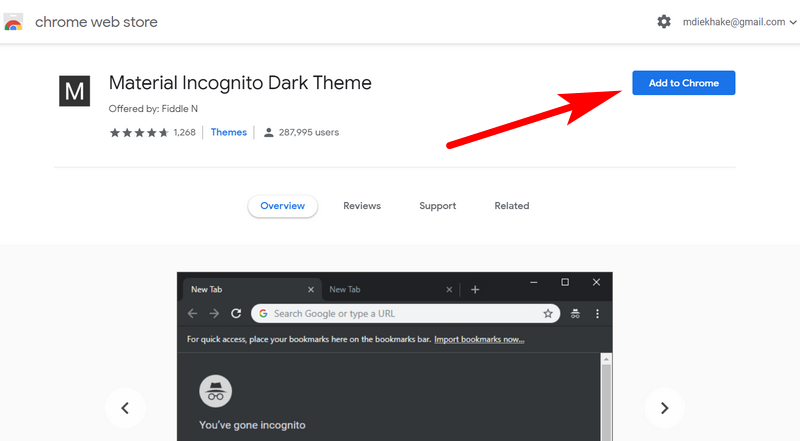 You can apply the Dark Incognito theme in Google Chrome by using an extension that’s available from the Google Chrome Web store. To get started, open the Material Incognito Dark Theme page on the Chrome Web store and download the extension. When there, click on the blue “Add to Chrome” button. The theme is then immediately applied without you having to do anything else. Browsing around with the dark theme is good if you want to reduce the light coming from your computer’s display. It can give a claustrophobic feel to some though. If ever you want to remove the theme, you can do that by navigating to the Chrome settings in the top right corner > Appearance > Reset to Defaults.